In 1924, Ralph Waldo Emerson Barton (1891-1931) was asked to serve as an advisory editor to Harold Ross for his new magazine The New Yorker, along with Marc Connelly, George Kaufman, Rea Irvin, Alice Duer Miller, Dorothy Parker, and Alexander Woollcott. These artists and writers were expected to contribute material to be printed anonymously, in exchange for stock, while retaining rights for reprints themselves. 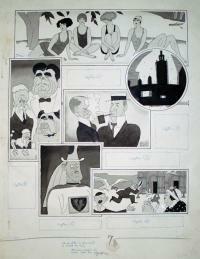 In one week alone, in the late 1924s, Barton completed eighty-five drawings. 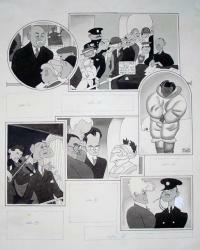 He was at the height of his career and one of the highest paid artists working in New York City. 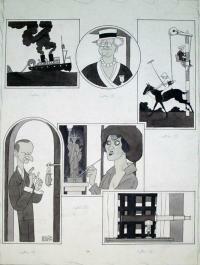 His drawings are, for many, synonymous with the 1920s. Hundreds, if not thousands, of Barton’s drawings were published unsigned and few survive in their original format. Besides The New Yorker, he worked for Collier’s, The Delineator, Everybody’s magazine, Harper’s Bazaar, Hearst’s International, Judge, Leslie’s Weekly, Liberty, New York Herald Tribune, Photoplay, Puck, Satire, Shadowland, Vanity Fair, and many more. He illustrated many books, including Droll Stories by Honoré de Balzac, Gentlemen Prefer Blondes and But Gentlemen Marry Brunettes by Anita Loos, The Tattooed Countess by Carl Van Vechten, and his own God’s Country. He also made one film, at the urging of his friend Charlie Chaplin, entitled Camille: The Fate of a Coquette, starring Paul Robeson, Sinclair Lewis, George Jean Nathan, Theodore Dreiser, Sherwood Anderson, Alfred Knopf, Ethel Barrymore, Somerset Maugham, and many of his other friends. 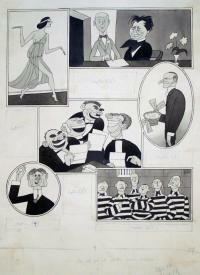 The drawings in the Graphic Arts Division were published in Judge under the section “Judge’s Rotogravure section; The News of the Globe in Pictures by Ralph Barton”. 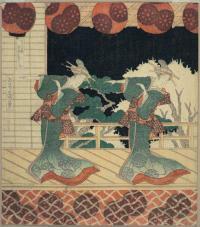 They are not included in any published listing of Barton’s work. We can only assume they are from the 1920s. When Barton shot himself in 1931, he left two notes. 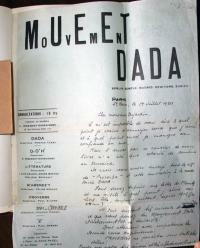 The first, titled “Obit,” was an explanation of his suicide, which he attributed to melancholia. Barton wrote, “No one thing is responsible for this and no one person—except myself. If the gossips insist on something more definite and thrilling as a reason, let them choose my pending appointment with the dentist or the fact that I happened to be painfully short of cash at the moment.” The second note was to his housekeeper, leaving her $35 and an apology that it was all he had left. This album holds a collection of wood engravings used in books published by the American Sunday School Union (ASSU) of Philadelphia. 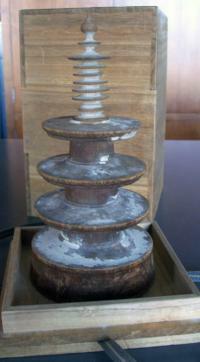 Judging from the dates which occasionally occur, the period covered is from the early 1820s to 1831. All the cuts have been carefully organized chronologically and numbered in pen. Over 70 are by George Gilbert, along with designs by Reuben S. Gilbert, Christian F. Gobrecht (1785-1844), Alexander Anderson (1775-1870), and John Warner Barber (1798-1885). 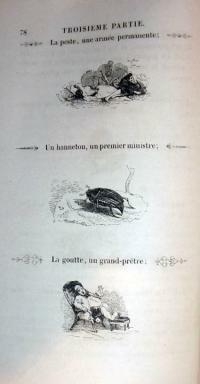 This is book one of two volumes. The second album, beginning with 1831, is held by the Library Company of Philadelphia. 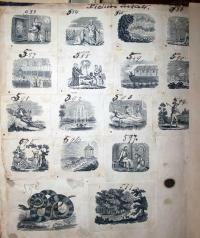 Special thanks go to their rare book curator Cornelia King for her research on these sample books. The ASSU was founded in 1824 in Philadelphia, Pennsylvania to promote early literacy and spiritual development of children, teaching them to read through the use of booklets published by the Union. The ASSU continued its publication program until l960 and some time later changed its name to the American Missionary Fellowship, which is how we know them today. Although the publications were meant to be nondenominational, many of the images tell biblical stories with a conservative leaning. No. 608 shows Adam and Eve in the Garden of Eden with a note below: "Not to be used unless clothed." 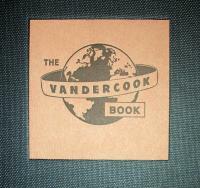 The first Vandercook printing press was developed by Robert Vandercook, working in Chicago in September 1909, and so, this is its one hundredth anniversary. To celebrate, Roni Gross and Barbara Henry at the New York Center for the Book have assembled and published a limited edition box set highlighting the work that master printers across the county are doing on their Vandercooks. 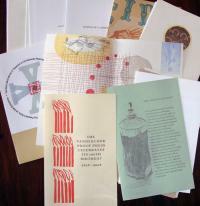 This anniversary edition includes 30 broadsides by 30 diverse printers working with monotype, polymer plates, linoleum, and many other printing surfaces on a variety of papers. A bound pamphlet with essays by Barbara Henry, Henry Morris of Bird & Bull Press, Michael Peich of Aralia Press, Fritze Klinke of NA Graphics, Paul Moxon and Perry Tymeson is also included. Later this spring, a traveling exhibition of the printed works from this edition can be seen at The Printing Museum in Houston Texas, Rutgers University in New Jersey, Columbia University in New York, The Book Club of California and the University of Washington. 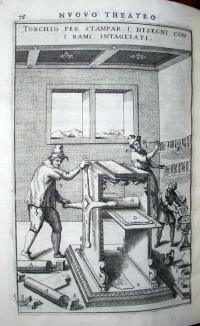 This German printers’ manual describes an early 18th-century printing office. The shop, first owned by Michael Endter (fl. 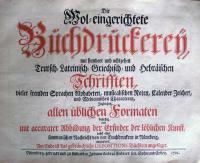 1653-1662) and his family, was purchased by Johann Ernesti in 1717. 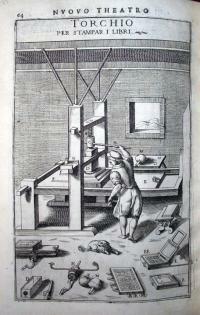 As seen in the engraved frontispiece, Ernesti had two working presses. One is engraved with the dated 1440, for the beginning of printing, and the other 1730, to signify the printing of this issue of the manual. Nine men are working inside the shop setting the type, proofreading the copy, and printing the pages. 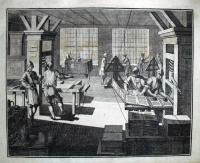 The manual begins with thirteen biographies and engraved portraits of early printers, including Laurens Janszoon Koster (ca. 1370-ca. 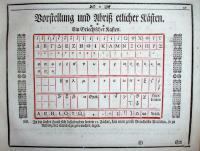 1440), Johannes Gutenberg (ca. 1398-1468), Johann Fust (ca. 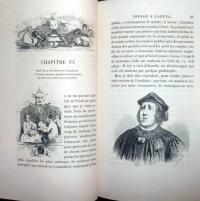 1400-1466), Aldus Manutius (1449/1450-1515), Christophe Plantin (ca. 1520-1589), among others. Over one hundred type specimens are introduced, including 47 Black Letter, 21 Roman, 14 Italic types, as well as Slavic, Greek, and Hebrew fonts. 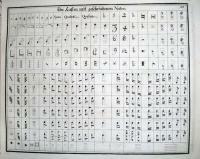 In addition, there are special calendar symbols, astrological signs, and engraved music fonts. 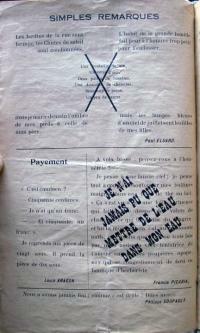 A handwritten letter from Paul Eluard to the French writer Édouard Dujardin (1861-1949) July 1, 1920. 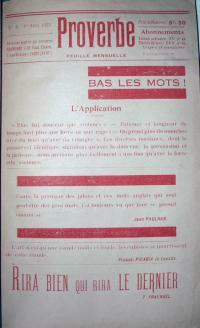 An invitation to the Max Ernst (1891-1976) exhibition at the “Sans Pareil” Gallery in 1920. 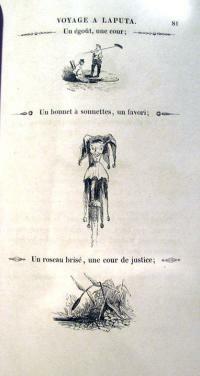 This show introduced Ernst and his collages to Parisian society. A vintage photograph of Eluard along with André Breton (1896-1966), Philippe Soupault (1897-1990), Jacques Rigaud (1681-1754) and Serge Charchoune (1888-1975) at the Ernst opening at the “Sans Pareil” Gallery. A vintage photograph of Tristan Tzara (1896-1963), Breton and Rigaud. 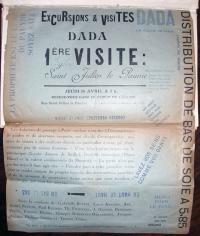 A poster for Excursions et visites dada. 1ère visite: Eglise Saint Julien le Pauvre. 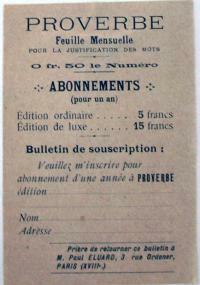 Jeudi, 14 avril (1921). 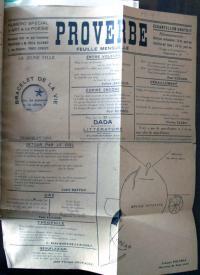 Signers include Buffet, Aragon, Arp, Breton, Éluard, Fraenkel, Hussar, Péret, Picabia, Ribemont-Dessaignes, Rigaut, Soupault et Tzara. Contemporary photographic portraits of Breton and Tzara printed in offset, and press clippings with photographs of Tzara and Éluard from the forties. 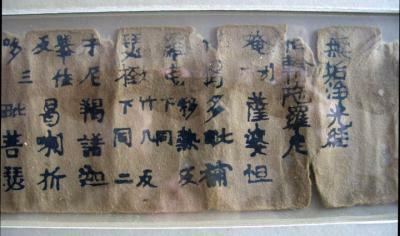 The volume is bound in boards with tipped on duplicate wrappers from Proverbe No. 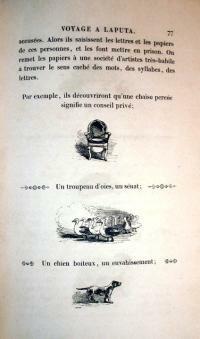 6 Numero Speciale d’Art et Poesie. 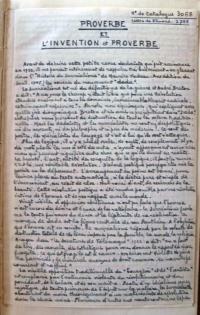 Also tipped into the volume are seven hand-written pages describing the importance of Proverbe with the original bookseller’s description of this special copy. 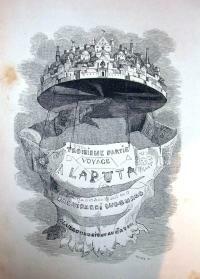 A Voyage To Laputa, Chapter 6. The Author proposes some Improvements which are honorably received. I told him… the Bulk of the People consisted wholly of Discoverers, Witnesses, Informers, Accusers, Prosecutors, Evidences, Swearers…. The Plots in that Kingdom are usually the Workmanship of those Persons who desire to raise their own Characters of profound Politicians…to fill their Coffers with Forfeitures; and raise or sink the Opinion of public Credit. It is first agreed and settled among them, what suspected Persons shall be accused of a Plot: Then, effectual Care is taken to secure all their Letters and other Papers, and put the Owners in Chains. These Papers are delivered to a Set of Artists, very dexterous in finding out the mysterious Meanings of Words, Syllables and Letters. For Instance, they can decipher a Close-stool to signify a Privy-Council; a Flock of Geese, a Senate; a lame Dog, an Invader; the Plague, a standing Army; a Buzzard, a Minister; the Gout, a High Priest; a Gibbet, a Secretary of State; a Chamber pot, a Committee of Grandees; a Sieve, a Court Lady; a Broom, a Revolution; a Mouse-trap, an Employment; a bottomless Pit, the Treasury; a Sink, a C—-t; a Cap and Bells, a Favorite; a broken Reed, a Court of Justice; an empty Tun, a General; a running Sore, the Administration. I am catching up on past issues of McSweeney’s. McSweeney’s was founded in 1998 by Dave Eggers on a mission to published only works rejected by other magazines. Ten years later, artists and authors seek out the magazine to present their latest work. Beyond the literary awards, McSweeney’s has won multiple design awards including AIGA 50 Books Award, AIGA 365 Illustration Award, and the Print Design Regional Award. 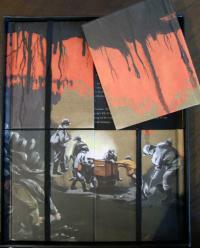 Every issue has a unique theme and physical format, such as McSweeney’s 28 shown here. The theme is 21st-century fables with text by Daniel Alarcón, Sheila Heti, Nathan Englander, and five others. 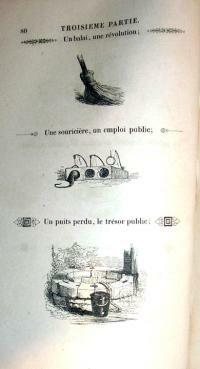 A different illustrator worked on each volume and the entire set of eight small books is boxed to form two additional images. Issue no. 19 comes in a cigar box-type container. Inside you find a stash of “recovered works”: pamphlets, info-cards, and letters such as might be pulled from anyone’s closet, except these include T.C. Boyle’s feral child novella and other equally curious stories. 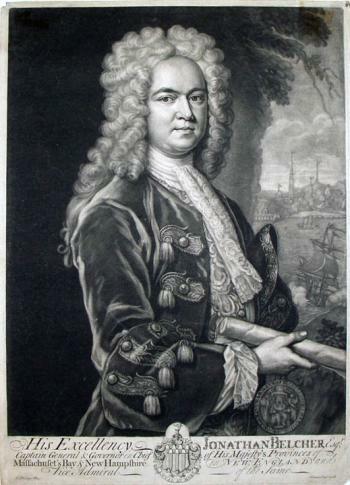 Jonathan Belcher "Destroy the plate & burn all the impressions"
This is a mezzotint engraving of Jonathan Belcher (1682-1757) made while he was Royal Governor of Massachusetts Bay and New Hampshire prior to becoming Governor of New Jersey and a strong supporter of the newly founded College of New Jersey (later known as Princeton University). Gov. 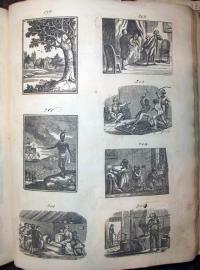 Belcher gave the college 474 books from his private collection, making our library the sixth largest in the colonies. Princeton University Library Chronicle 14, no.4 (Summer 1953): 172. 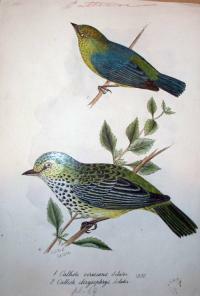 This two volume scrapbook contains 131 leaves of mounted drawings, pattern plates for the colorist, and uncolored proof impressions compiled by the Scottish naturalist William Jardine for his five volume Contributions to Ornithology. 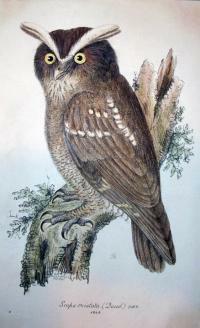 The project followed directly after his hugely popular 40 volume Naturalist Library published in 1843 (GAX 2007-0067N), which established his position in Victorian society and his reputation as an ornithologist. 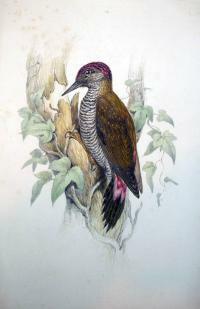 Contributions was issued in parts from 1848 to 1852 and is considered the first British periodical devoted to ornithology. 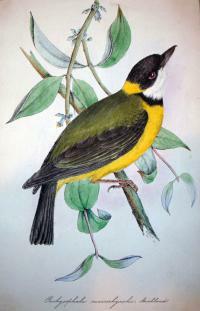 Jardine meant the series to be an annual updating of the latest ornithological information. 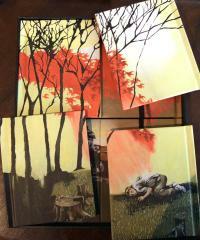 It was a family project with Jardine as principal organizer, artist, and author. 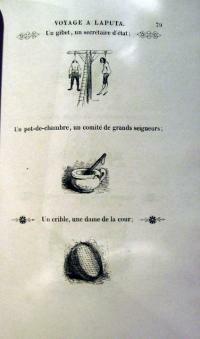 His daughter Catherine Strickland executed many of the plates and his other daughter Helen did some drawing. Other contributors included T.C. 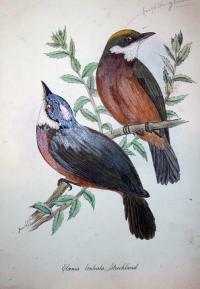 Eyton, John Gould, and Philip Sclater. 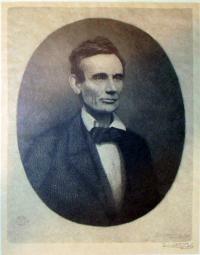 Timothy Cole (1852-1931), Abraham Lincoln, 1928. Wood engraving. Graphic Arts division GC030. Timothy Cole (1852-1931), Untitled portrait of white-haired man, 1917. Wood engraving. Graphic Arts division GC030. 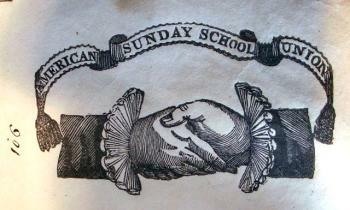 “Old school” engravers deplored the “new school” kids. William James Linton wrote many articles against reproduction without interpretation, including “Art in Engraving on Wood,” Atlantic Monthly June 1879, criticizing Timothy Cole in particular. As often happens, the younger generation won out and most wood cutting from then on was done with the assistance of photography. 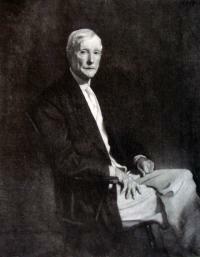 Timothy Cole (1852-1931) after a painting by John Singer Sargent (1856-1925), John D. Rockefeller, Sr., 1921. Wood engraving. Graphic Arts division GC030. 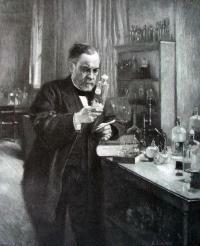 Timothy Cole (1852-1931) after a painting by Albert Gustaf Aristide Edelfelt (1854-1905), Louis Pasteur in His Laboratory, Paris, 1925. Wood engraving. Graphic Arts division GC030. 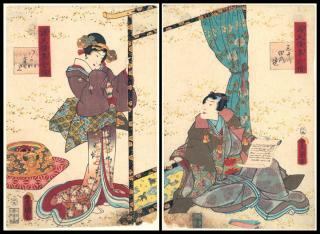 Continue reading Photoxylography and Timothy Cole. Andrea Pozzo was a remarkable Italian painter and architect of the Baroque period. Known for his frescoes using illusionist perspective, Pozzo’s most dramatic work can be found in Rome in the painting of the dome, apse, and ceiling of the Church of S. Ignazio (1685-1694). 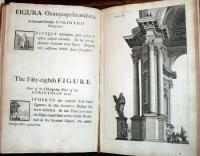 As this project was being completed, Pozzo wrote down instructions for his particular technique of perspective in a manual entitled Perspectiva pictorum et architectorum, published in 1693. 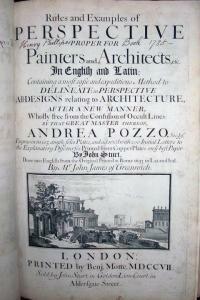 The first English edition came in 1707 under the title Rules and Examples of Perspective Proper…, translated by the architect John James (ca. 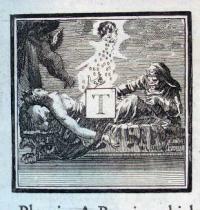 1672-1746) and published by Benjamin Motte Sr. (died 1710). 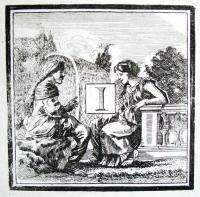 This edition has over one hundred folio engravings along with 208 historiated initials John Sturt (1658-1730). 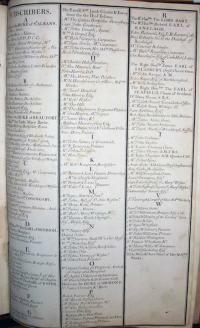 161 subscribers are listed on an engraved plate bound into the final book, including many prominent artists, architects, printers, businessmen, and politicians. Jake Zeitlin (1902-198) moved to Los Angeles in 1925 and in only two years, was operating one of the most popular bookstores in the city. Nicknamed At the Sign of the Grasshopper because of the symbol on the front, the shop became a local hangout for writers and artists, who browsed the shelves and enjoyed works of visual art in the shop’s small gallery. One of the local artists Zeitlin introduced to the neighborhood was Paul Landacre (1893-1963) whose first one-man show was held at the bookstore in 1930 and received a favorable reviewed by Arthur Millier in Prints magazine. The Zeitlin’s and the Landacre’s became good friends and Paul’s wife Margaret even worked as a secretary for the bookshop. 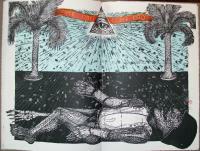 When Zeitlin established his own publishing imprint, Primavera Press, Landacre was asked to illustrate many of the books. The first in 1933 was Marguerite Wilbur’s translation of Alexandre Dumas’ gold rush novel A Gil Blas in California. Pictured at the left is a recently acquired sheet of proofs for chapter headings in this book. 1933 was a busy year for Landacre, who submitted designs for the proposed Limited Editions publication of W.H. Hudson’s Green Mansions. Although some proof pages were printed by Grant Dahlstrom, the design was not selected and these chapter headings (top and bottom) were never published. Note, as Jake Wien below reminds us, that Landacre went on to illustrate three future editions for the Club. I will be away later this week at the first meeting of the College Book Art Association. 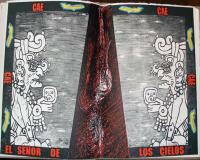 http://www.collegebookart. org/ The CBAA supports and promotes academic book arts education by fostering the development of its practice, teaching, scholarship and criticism. Despite summer floods and winter storms, book arts survive in Iowa City and the conference offers, among other things, a great opportunity to explore the Center for the Book, an interdisciplinary arts and research unit located within the University of Iowa Graduate College. 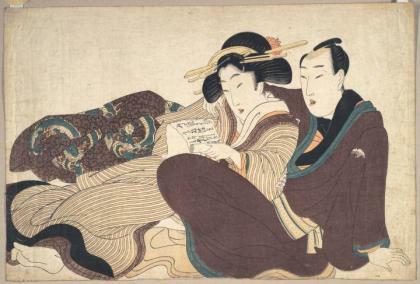 The UICB integrates the art of book production with the study of the book in society by offering a curricula in book technologies and book history. The first CBAA biennial is entitled: Art, Fact, and Artifact: the Book in Time and Place. More information is available at the conference website: http://uicb.grad.uiowa.edu/uicb-cbaa-conference/. Along with session programming, the conference agenda will include keynote speakers, exhibits, tours of facilities, open discussion time, and portfolio reviews. 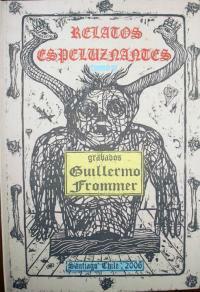 The Chilean artist Guillermo Frommer had an international education in printmaking. 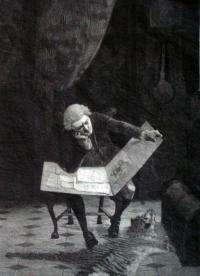 Both his parents were artists and he made his first prints under their direction in Chile. In the 1970s, he studied at the University of Ottawa, Canada, and then, received a degree from the Ontario College of Art in Toronto. 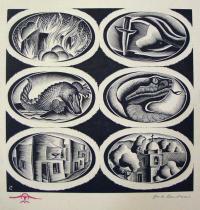 His interest in lithography led to a residency at the Tamarind Institute in Albuquerque, New Mexico. Although Tamarind is known primarily for its stone printing, Frommer also worked with xylography, engraving, and silkscreen. When he returned to Chile in 1987, Frommer joined the Visual Arts Workshop (Taller Artes Visuales or TAV), a printing collective founded in 1974 by artists exempted from the Faculty of Arts at the University of Chile. 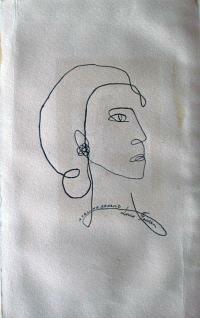 Today, Frommer is a professor of printing in Santiago and continues to create his own work through the TAV. Today, new models of hardware are obsolute in a matter of years. 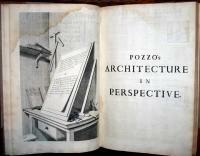 It wasn’t until five years after his death that the first edition of Vittorio Zonca’s book on new machines was printed and published by Pietro Bertelli. 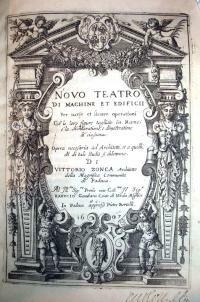 Fourteen years later Bertelli’s son Francesco published a second edition using the same 42 copperplate engravings. Three plates are signed: FV (i.e. monogram Francesco Valesio, born ca. 1560); Ben W sc (i.e. Benjamin Wright); and AH (or AHI or AI; monogram). 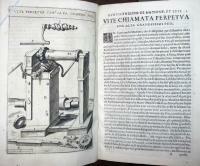 The source for Zonca’s designs is believed to be a manuscript by the Sienese painter Francesco di Giorgio Martini (1439-1501), which includes illustrations of various fifteenth-century machines. 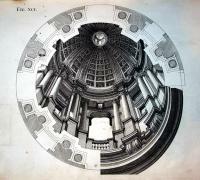 A good article about such books: Alexander Keller, “Novo Teatro di Machine et Edificii,” Technology and Culture (1988), p. 285-87. Firestone Library (F) 9030.898.